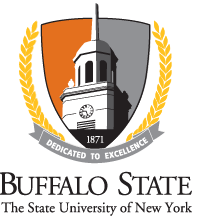 Welcome to the Dean of Student’s resource site for students of Buffalo State College. On this site you will find links to various on- and off-campus resources that can help you cope with the unique demands of being a college student. Please take advantage of the many campus resources available and take the time to become involved and connected with not only your peers, but also with the Buffalo State faculty and staff. Feel free to contact my office, at 716-878-4618, or by e-mail at deanofstudents@buffalostate.edu, if you have any questions or need assistance. We wish you a very successful and enjoyable college experience.